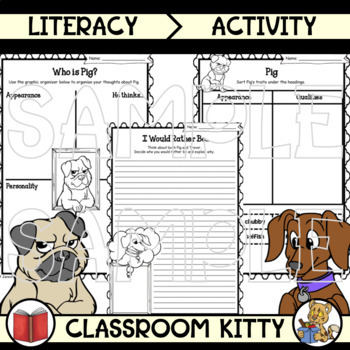 ​​This is a set of activities that focus on the character traits of the main characters in the book "Pig the Pug", Pig and Trevor. 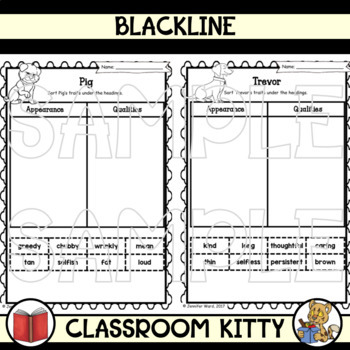 A writing activity about who a student would rather be is included where they need to use the character trait activity to explain their choice. Please note: In order to complete these activities you will need to purchase a copy of one of the Pig the Pug books by Aaron Blabey. These activities will work with any of the books.